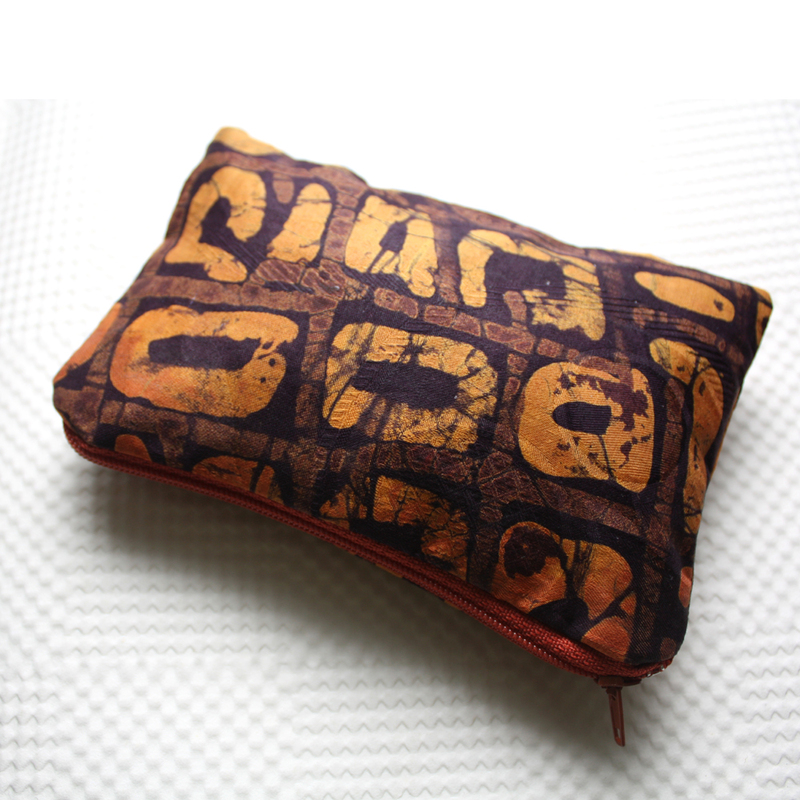 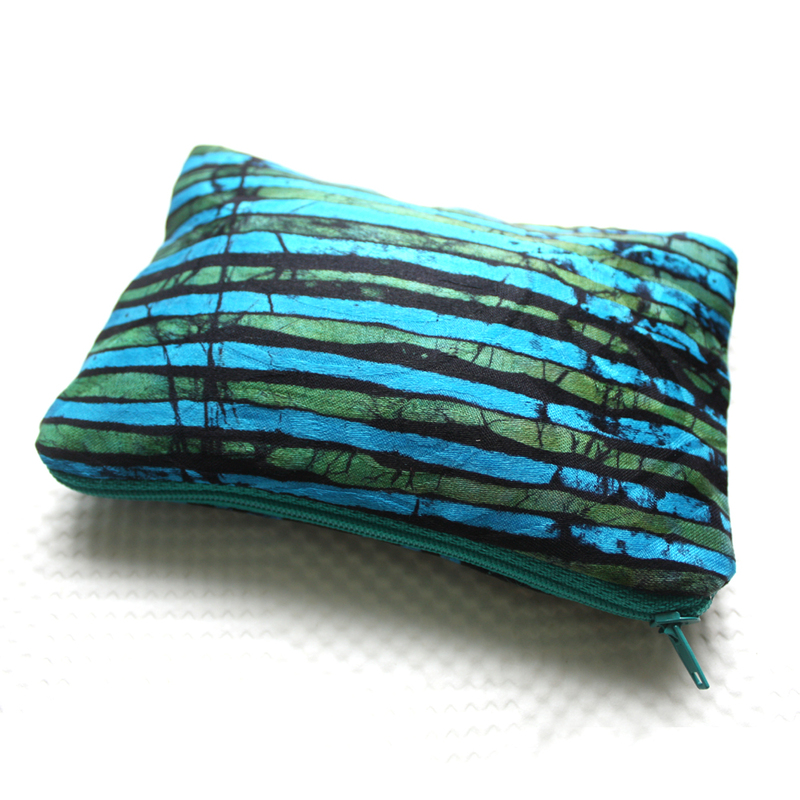 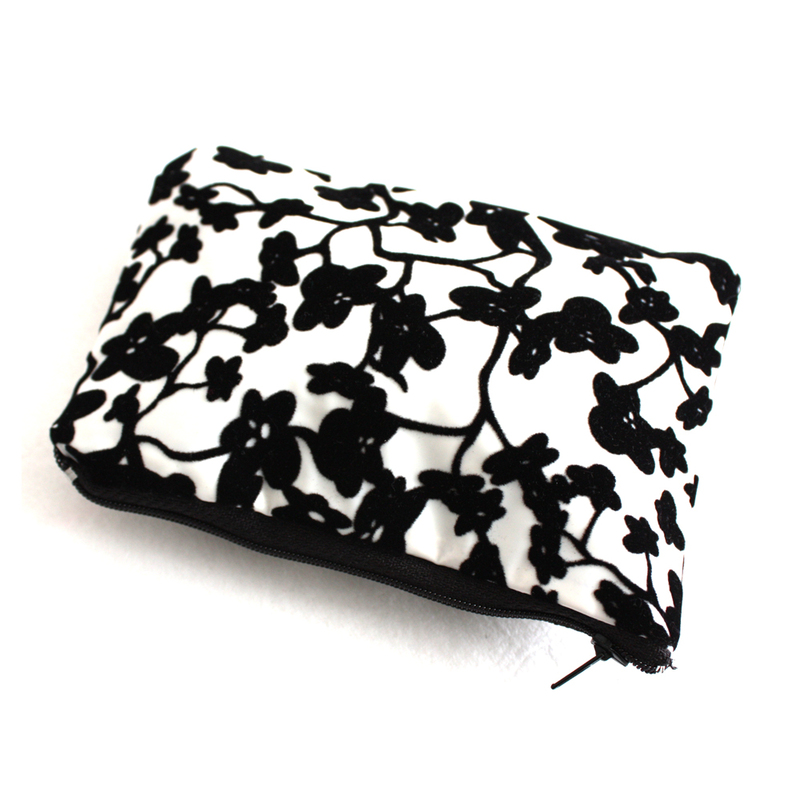 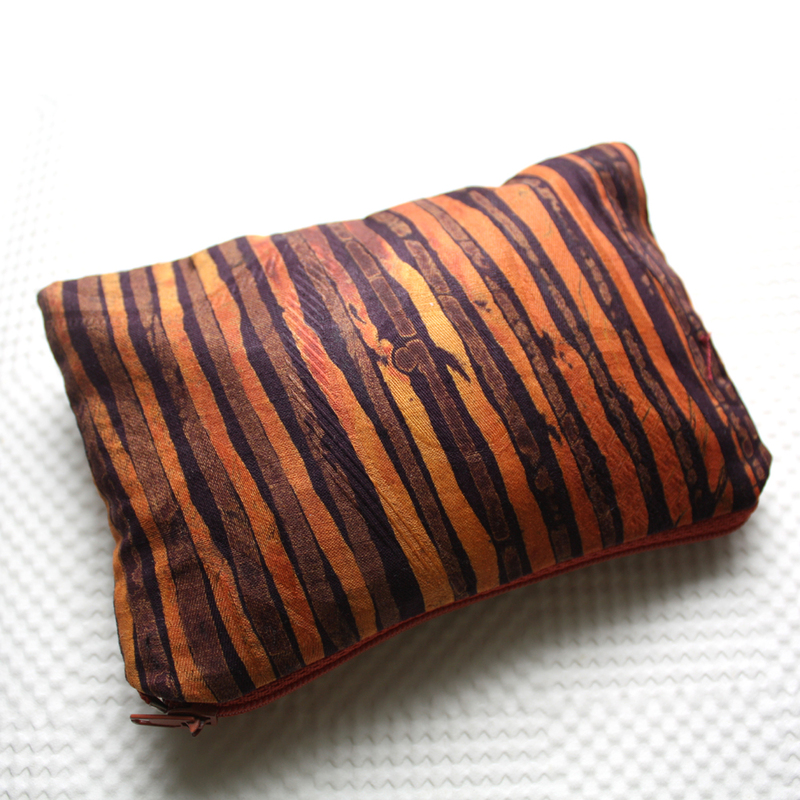 It is made out of a bright batik fabric and lined internally with a matching cotton fabric. 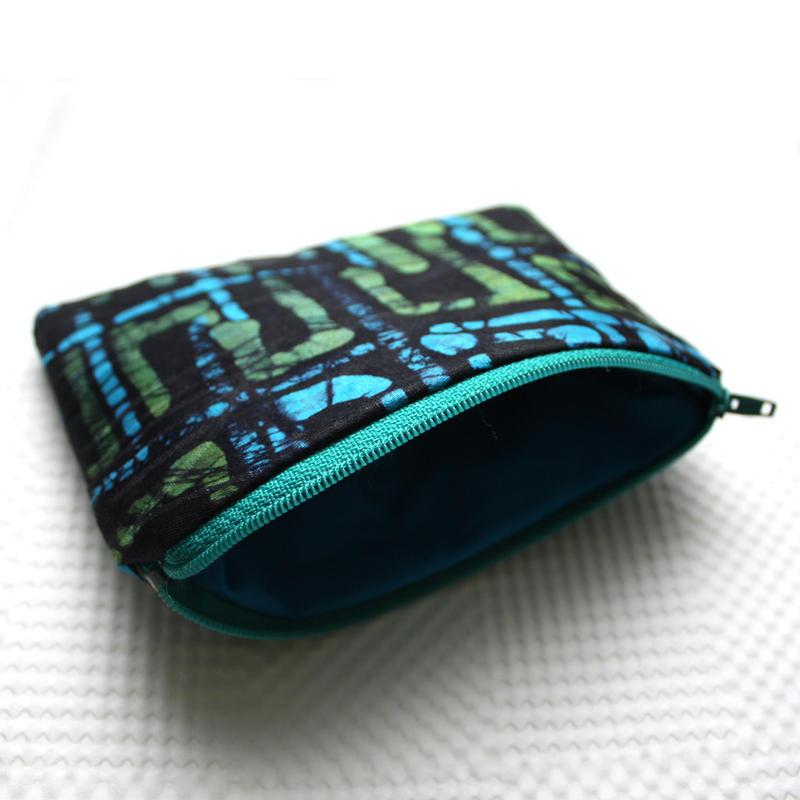 It closes with a zipper. 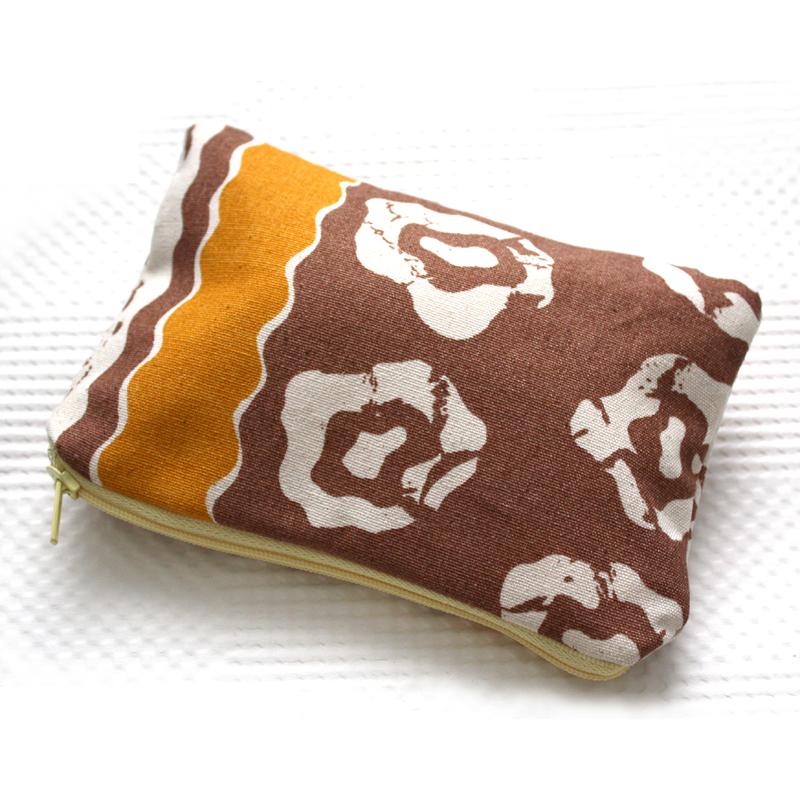 One side has an organic striped pattern and the other has an organic ‘ broken cube’ pattern, both in the same colour palette. 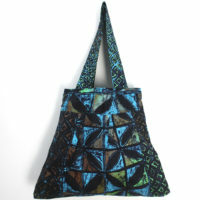 It is like having two purses in one. 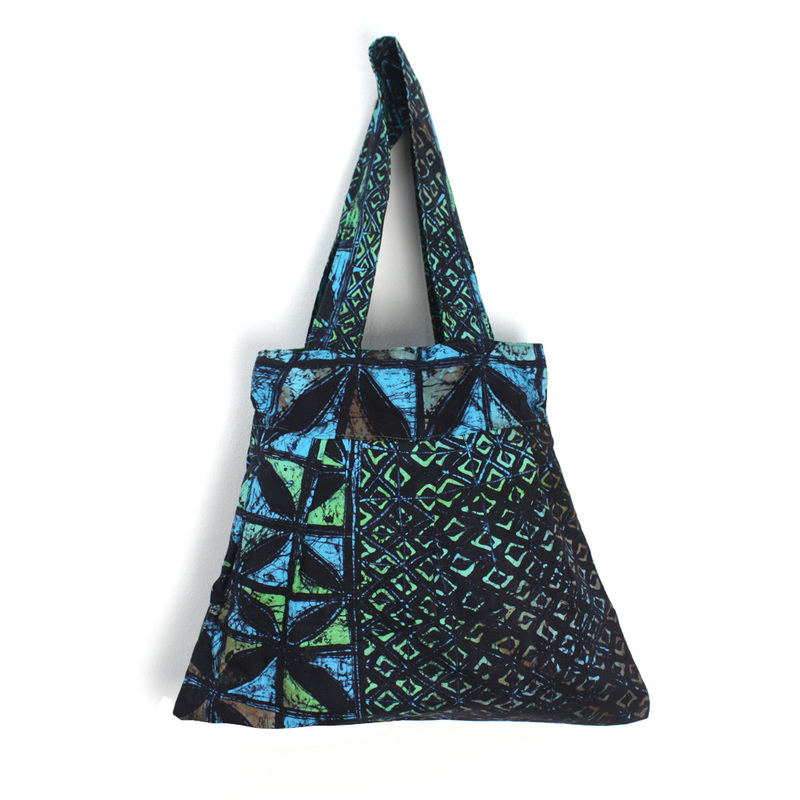 The batik zipper comes in two choices. 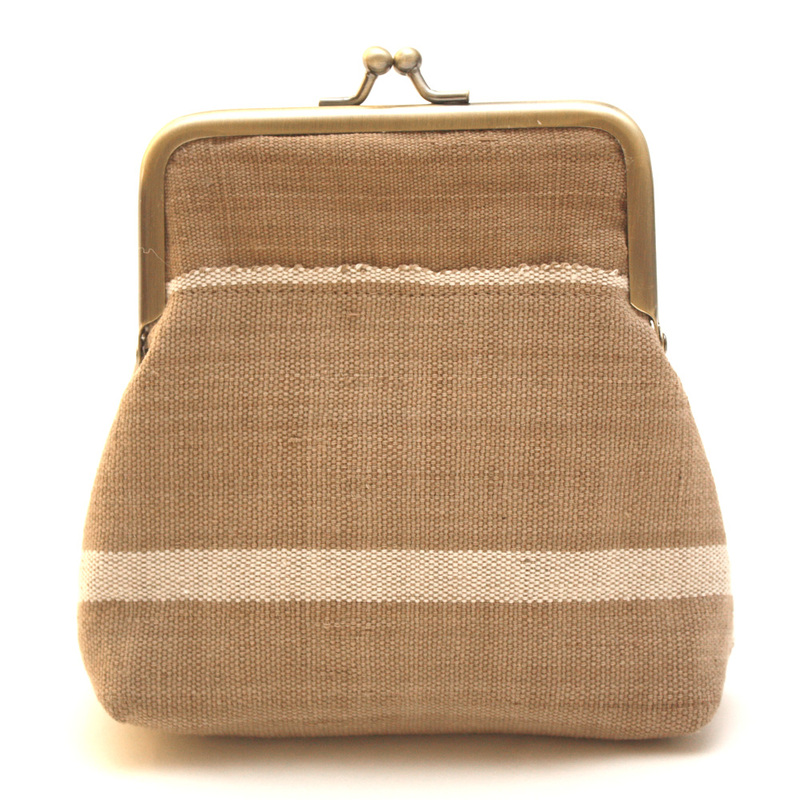 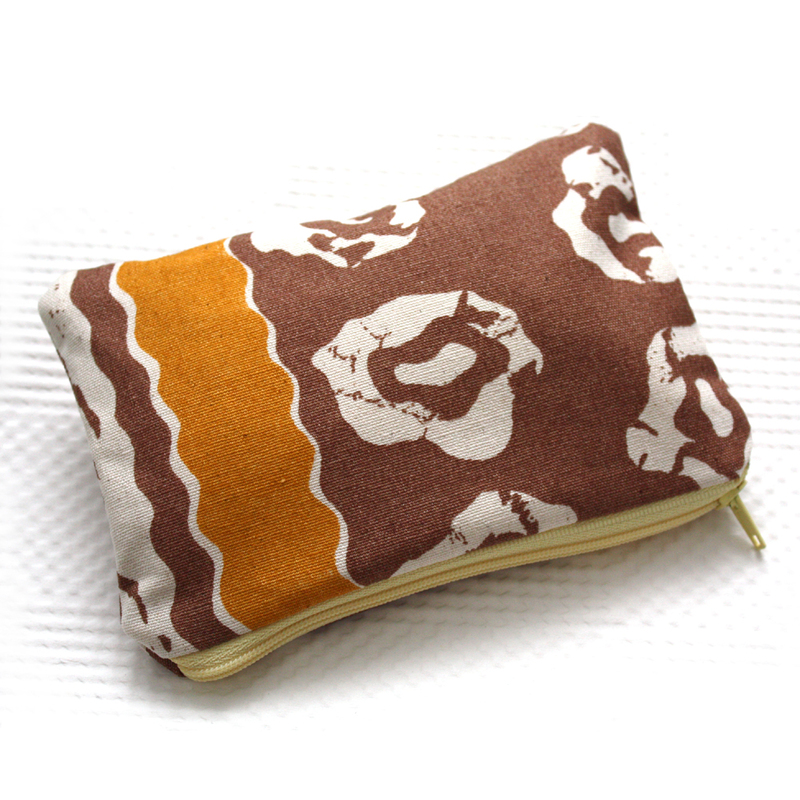 You can choose between the zipper pouch in the brown and orange hues or the one in the green and blue hues. 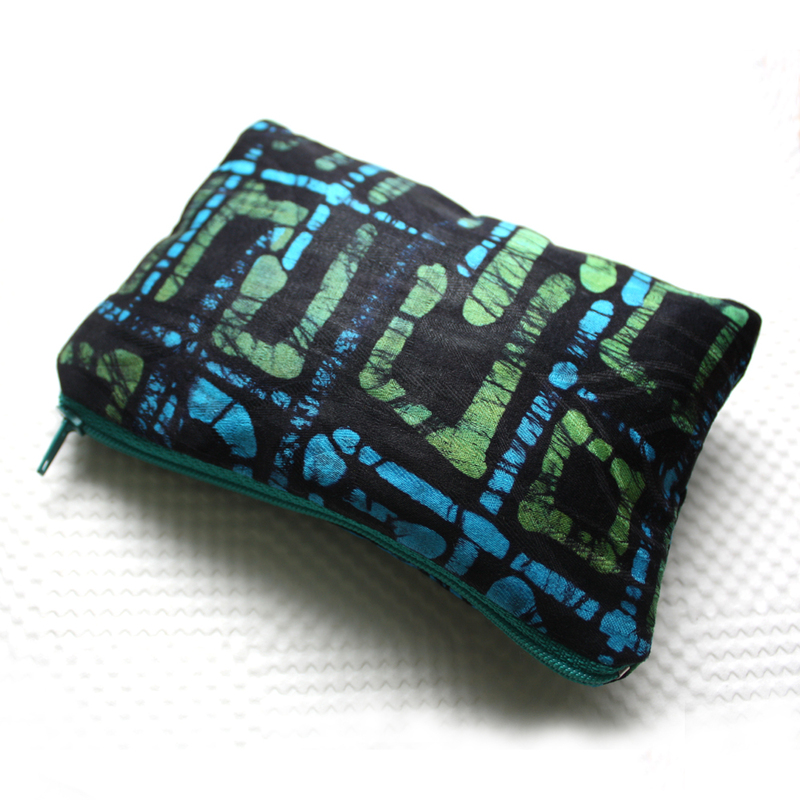 Please note that fabric placement may be slightly different to that shown in images.